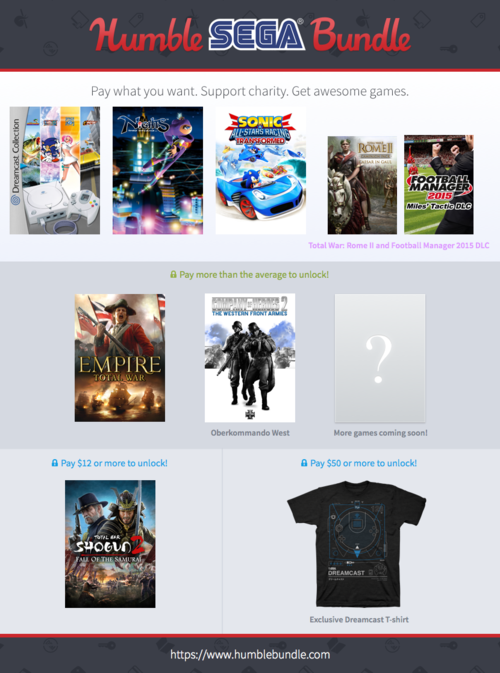 TSG is a gaming group that hosts charity events throughout the year playing different series each marathon for many different charity organizations. Since 2008 they've held over 30 main marathons raising nearly $500,000. 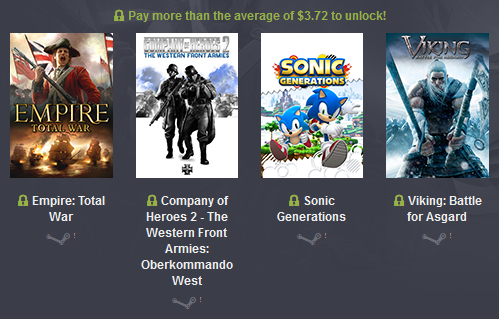 Sonic Generations (along with Viking: Battle for Asgard) have been unlocked for the beat-the-average tier, which currently sits at a mere $3.72. Generations is a solid port. Also, be sure to check out the excellent Unleashed Project mod too! As mentioned before, if you already bought the dollar tier, you can upgrade your purchase through the bundle key page Humble sent you. And if you already beat the average, then the extra games should be waiting for you on that page too. For a mere dollar you can get the Dreamcast Collection, NiGHTS into Dreams, and Sonic & All-Stars Racing Transformed for PC on Steam! The Dreamcast Collection includes Sonic Adventure DX, along with Crazy Taxi, Space Channel 5: Part 2, and Sega Bass Fishing. Those ports are kinda crappy but Sega has recently been working to update and fix them up a bit. NiGHTS is solid though. And Racing Transformed is pretty much one of the best kart racers ever. Sonic Boom in the US for whatever reason has a very short intro. Time constraints, most likely. This isn't the case for French audiences. It's still quite generic. Nintendo reveals Sonic amiibo for Smash Bros. If ya didn't know, amiibos are used in Smash Bros as personalized computer characters. You can customize their movesets and attributes, pitting them against other players or amiibos, levelling them up in the process. Sorta like a virtual pet? But without having to actually take care of them and stuff. amiibo figures also store information identifying the character they depict. 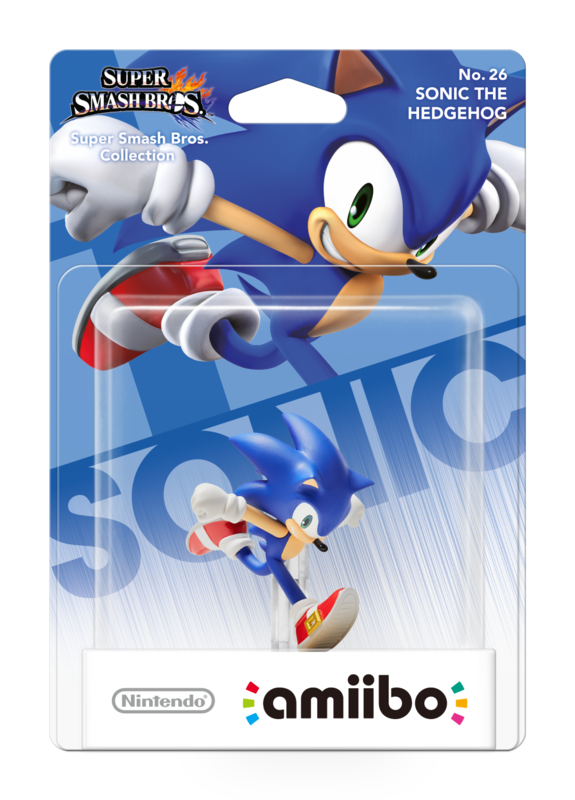 So, being a Sonic amiibo, it could potentially be used with other Sonic games, assuming they actually include amiibo support. So... neat. 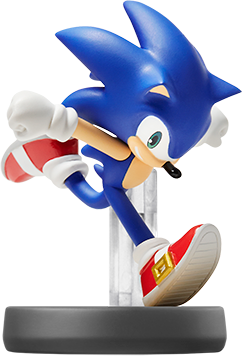 The Sonic amiibo is set to release worldwide in February 2015. Check out the full lineup on the official site. Also here's the packaging. There it is. The below infographic sums up pretty well the different foray of Sonic titles out there organized by genre/platform/style. Worth a look! Click the image to see the full version. According to Cartoon Network's official site, Sonic Boom will premiere next week Nov 8th at 7am eastern. The pilot will be "Sidekick/Can an Evil Genius Crash on Your Couch for a Few Weeks"
Now this may seem concerning. You may be thinking no sane person on this earth will get up at 7 am. Recall though that the target demographic is for kids ages 6-11 and 7 am for them isn't that bad... unless it's central time where it would then be at 6 am. Then I am sorry for them. I recall Sonic Underground being on at 6 am. Not fun. 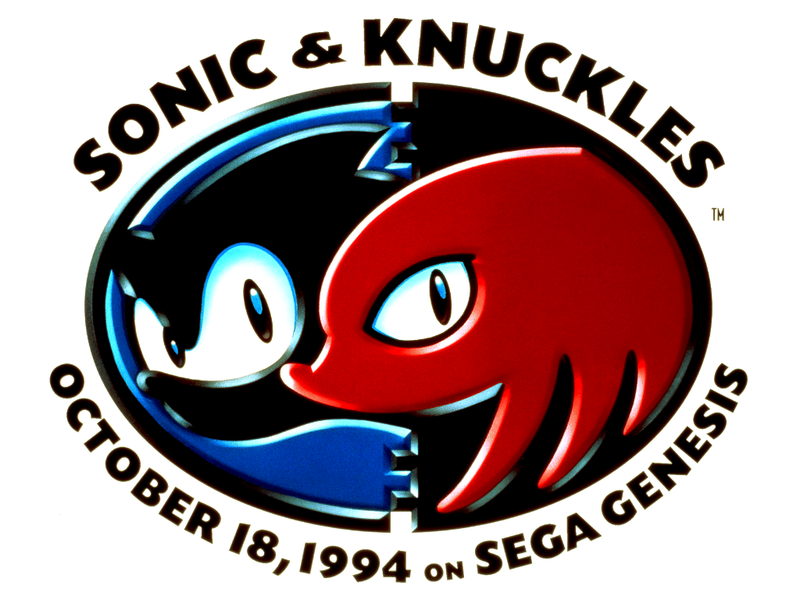 Happy 20th Birthday Sonic & Knuckles! Sonic & Knuckles was released internationally 20 years ago today, concluding the story set forth by Sonic 3 and bringing much joy and happiness to people all over the world. Can you believe it's been that long since lock-on technology completely revolutionized gaming as we knew it? Love Dr. Robotnik and have more money than you know what to do with? Well, the masters over at First 4 Figures have unveiled their new Robotnik statue, towering at 22 inches tall and costing a paltry $400! Chump change for the Eggman, really. But he is quite a good looking chum, wouldn't you say? He's to scale with First 4 Figure's other Sonic statues, such as everybody's friend Metal Sonic over there. And he has two sets of hands, one holding some Chaos Emeralds. Who wouldn't want this jolly fellow looming menacingly over them while they're trying to get work done? Just like your boss. A truckload more photos can be seen over on the product page on First 4 Figure's official website. Almost to no surprise, a sequel is in the works to the 12 part series Worlds Collide from 2013. We'll get it next year and Paul Kaminski is saying it will even more epic. More epic than worlds shattering? We'll have to wait and see. More details to follow at NYCC. Will it halt the main series? or will it be its own series? Hopefully we'll have the answers soon. We don't want you to think this place is being completely abandoned. The next update will serve as a pivot point for the site. Most people come here for Sonic comic related news and information. According to Google Analytics, more than 2/3rd of all site traffic is comic related. It's time for this site to focus on that more directly. Don't worry, older content isn't going anywhere. Archie recently dropped hints of this and now it's confirmed. 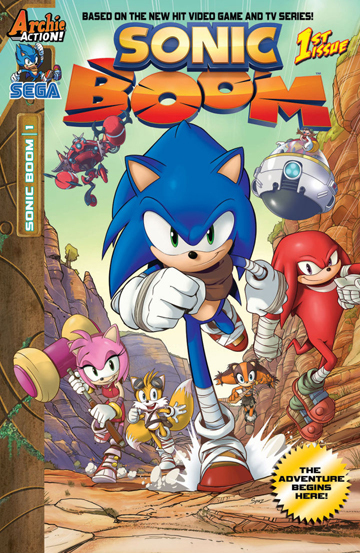 A new comic book series "Sonic Boom" will make its way to fans starting in October. Ian Flynn and Evan Stanley will craft each issue which will also be stand alone in nature like the cartoon. We'll have a Sonic Boom comic category shortly. Here comes the BOOM! Get in on the ground floor with the ALL-NEW ONGOING SONIC COMIC BOOK SERIES from Archie Comics based on the new hit TV series and video game: Sonic Boom! This ground-breaking new chapter in the Sonic the Hedgehog franchise puts a new "spin" on all your favorite heroes and villains—plus new faces and hilarious new stories chock-full of action—and it's all brought to you by the folks that bring the hit series Sonic the Hedgehog and Sonic Universe to you each and every month! Subscribe today and own a piece of Sonic comic history! IGN has posted an interview with Ian Flynn and Paul Kaminski with some further details. Be sure to also click the the 4 variant covers below and to the side to see the full sized image. Now here is exiting news! Over at Sonic Retro they have aquired the rom Sega used to give to magazines to advertise the game, however just by the video you can see things aren't exactly final! Weird loops and different art abound, including those crazy trees! Compare this demo to say the long lost Sonic 1 Genesis demo that people like to fake. However, this one is indeed real and ready to be dumped to the internet. What will we find? Also earlier versions of Sonic Labyrinth and Tails Adventure are on their way as well. Follow this thread for more updates. Today's Super Smash Bros. pic of the day features none other than the Eggrobo! Look at that darling egg-baby. Pic of the day. Here's Dr. Eggman's machine, Eggrobo. It'll appear as a guest character in Smash Run and attack you with laser beams. Before the music section had game sound tracks, it had fan submitted midi files. Midis, remember those things? They'd loop in the background on some sites during the dawn of the internet. To do this, you would use an embed tag to play it in the browser. The problem with this, is it relies on plugins. It's now 2014. Directing people to go download QuickTime to play a midi file is so 1998. There's about 450+ across those games listed. You'll find 3 options where it shows "Results" to choose which files are shown. By default it lists the normal game tracks. Hey there! If you haven't noticed I am the guy who mostly posts when Lighty doesn't. And boy do I have an exclusive treat for you! I sent an q&a email to Sonic HQ way back in 2002. I was so excited I got a response that I printed it out! ...Which turned out to be the only surviving copy of it ever happening. Good thing I spent the entire night retyping it EXACTLY as it appeared on this paper! Well apart from deleting my real name and all. Otherwise everything is there, misspellings lowercase and all. >um... i have lots of questions (15) about sonic. >1. will the original sonic 1 & 2 be on the pc like the s&k collection? >2. will sonic adventure 1 & 2 be on the pc also? >why did they change their mind? >4. if tails was born with only one tail, would he still be just as popular? >7. who is sonic's biggest rival: robotnik, knuckles, or shadow? >act 3 future? did she age a lot before sonic rescued her? >9. whenever amy hugs sonic in sonic cd, why does her eyes turn pink? >10. how did we get the idea that sonic hates amy? >other asorted nuts? do flickys like to eat birdseed? >internet that it was true. is it? >without the bubble shield. is this true also? get the ROMs of Sonic 1 and 2. 2) Probably not for a long time. celebrate Sonic's 10 years in gamming. 4) Maybe, however we'll never know. 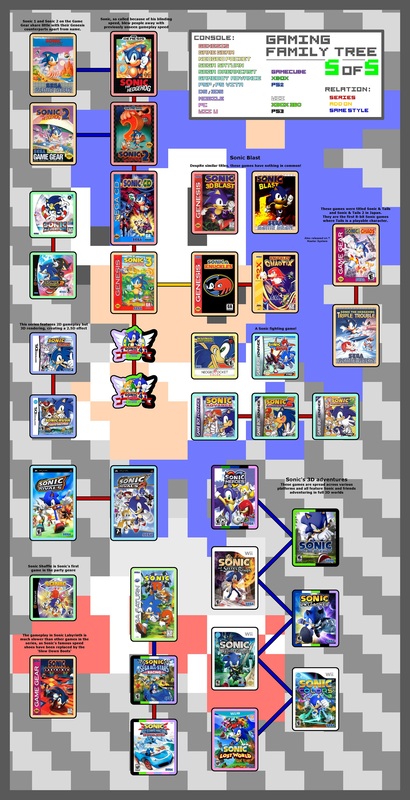 the zones), but Sega changed it at the last minute for reasons unkown. 6) No, he was set to be the bad guy, and stay the bad guy. 9) They're suppose to be hearts because she's in love with him. 10) Archie comics and Sonic never really going ga-ga over her. Sega and Archie have never included such particulars. 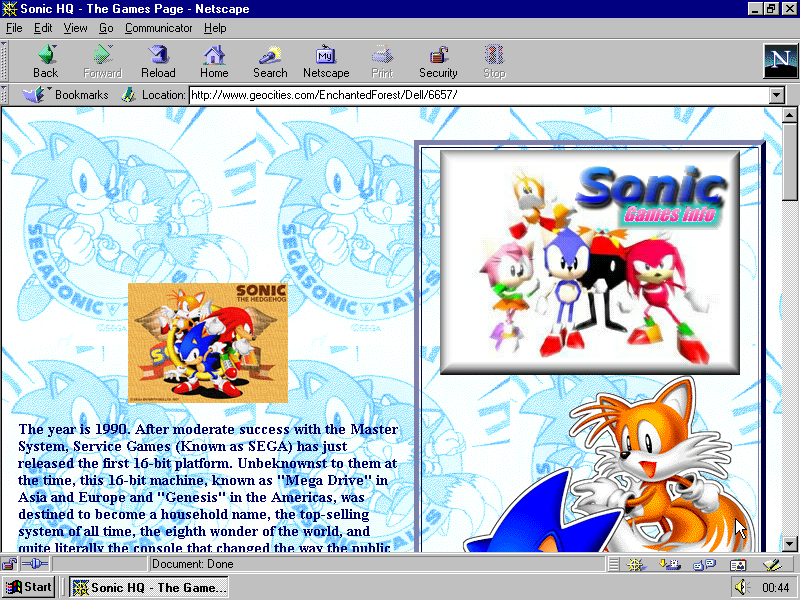 Pages from the original Geocities version of Sonic HQ have been featured on the One Terabyte of Kilobyte Age Photo Op blog! This automated Tumblr blog, a project of the Contemporary Home Computing site, chronologically posts screenshots of Geocities homepages. Every 20 minutes a new screenshot gets posted (inside a Netscape browser no less), complete with the original URL and the date the site was last modified. Now, as you may know, Geocities was closed down by Yahoo back in 2009, deleting tons of internet history in the process. Thankfully, one terabyte of data was managed to be rescued by the Archive Team before the closure, and these websites are still available today in some form. First up is the games page. So how did this get featured? Well, at the time, Geocities had a strict 11MB limit for websites. To skirt around this, SHQ was split into multiple Geocities sites (and Angelfire sites... and Tripod sites...). So while this would be considered a sub-page of SHQ, it's technically its own website. Thus it's viable to be picked up by the Tumblr blog. Significantly, the games page is also the first page from 1999 to be posted on the blog. This means it had the earliest "last modified" date of any Geocities page from 1999. Meaning it's the first Geocities page to be completely abandoned in 1999, without the webmaster deleting it themselves sometime later! ...Hooray! Check out the original page on the Internet Archive's Wayback Machine! Next is the homepage (both the original URL and the custom URL). The homepage was overhauled to redirect visitors to the site's new address, where it was hosted on Emulation Zone and finally all under one umbrella. As for that custom Geocities URL (geocities.com/zifei), that was the name of the site's founder, Zifei. So there you have it! Quite a nice little trip down memory lane. I personally wasn't around to see this era of the site -- I didn't find it until 2001 a couple years later. But it's nice to reflect. It's pretty amazing Sonic HQ is still kicking after all these years, huh? Well... I guess it's more of a limp right now. It's seen some better days I'll give it that. But it's still around and that's what counts, right? 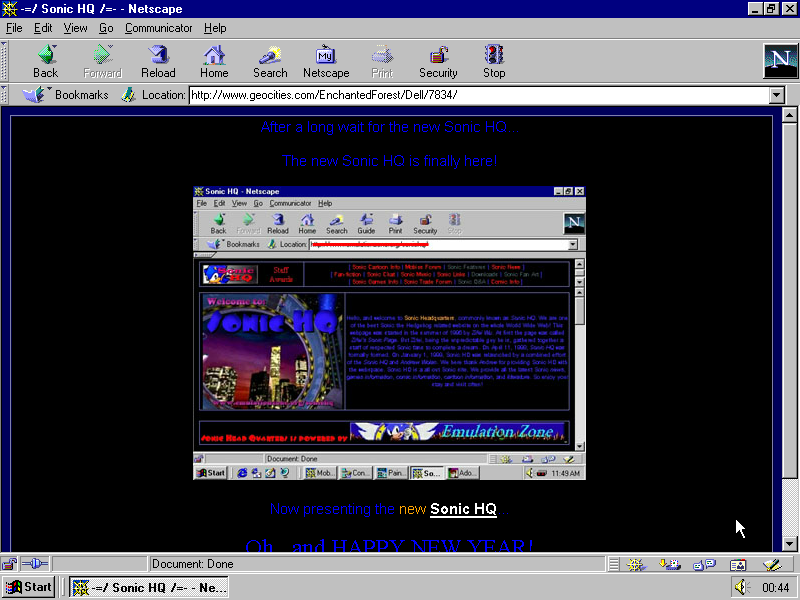 Hey, and be sure to check out the One Terabyte of Kilobyte Age blog post bringing in the new year, Happy 1999!, where Sonic HQ is also featured. People will indeed be bewildered by this ancient Geocities site... and maybe even more bewildered to find out it's still around! Sonic Revolution: Fan Convention Half Sold out! "Sonic Revolution is a movement to bring conventions and meetups for Sonic the Hedgehog fans to every part of the world." 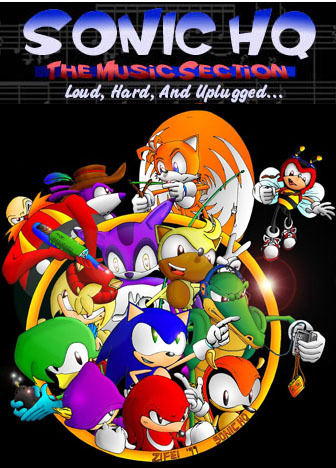 ..And they're running a single day Sonic convention on June 15th in Buena Park, California! Some of the highlights being a performance by the band Serenity Seven, an exclusive short preview of the fan film Sonic Prologue, and Archie comics artist Evan Stanley will be there signing autographs and displaying artwork! There are still an additional 100 tickets to be given away, but the plans for them remain unclear..
Sonic Boom revealed: cartoon, video game, and toys! Lots of Sonic news today, folks. Let's see how condensible it is. Sega has taken the wraps off their new direction for Sonic, Sonic Boom. 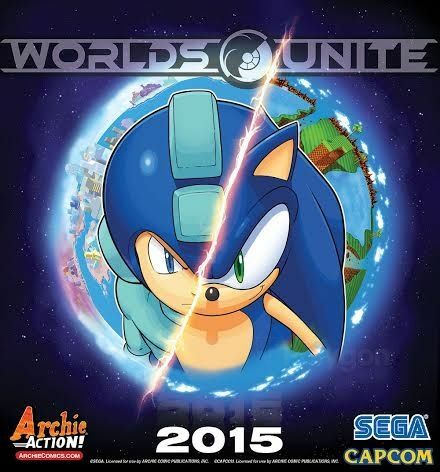 Sega is calling it a "a new branch of the Sonic universe" so it's not a full on reboot. Under the Sonic Boom umbrella, will be the new cartoon, debuting on Cartoon Network this Fall, a Sonic Boom video game developed by Big Red Button Entertainment, formerly Naughty Dog for Wii U and 3DS. It will be the third title part of the Nintendo exclusivity agreement. New toys will be produced by TOMY and will include plush, action figures, RC, role play, vehicles and novelty. 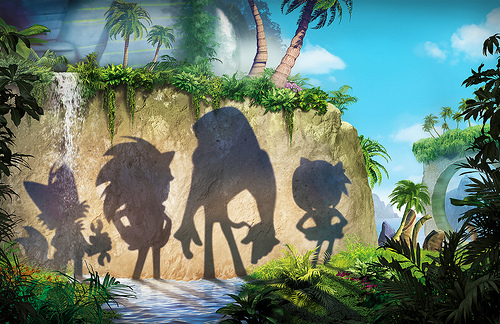 The voice actors from the games will be incorporated in Sonic Boom. It's not certain if it's an exact 1:1 match but so far, Sonic, Tails, Knuckles, Amy and Eggman are certain. There's more information in the source link below. Just wanted to share a couple things that's new to the site but very easily missed. In the Comics section, the default “Browse By Series” listing is now paganized in chronological order from the beginning to now. This includes Sonic The Hedgehog, Sonic Super Special (and original Specials), Sonic Universe, Knuckles The Echidna, all the miniseries, and Sonic X. Shocking Alert! People on /co/ are using Sonic HQ archives! 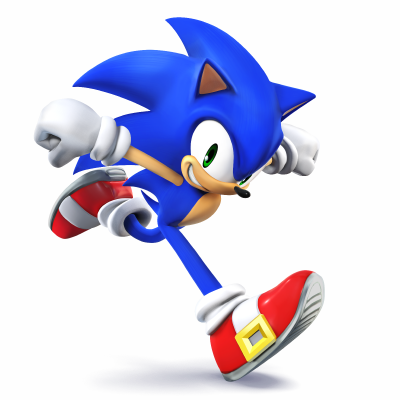 Bells clanged into the air when it was revealed that people remember and still use Sonic HQ's archives without any of our prompting! Even still is that it was caught in the seedly underbelly of the internet (but not really) comics and cartoons board a certain unnamed but well known site. Unfortunately, we here at Sonic HQ do not agree with his viewpoints and insist that Adventures of Sonic the Hedgehog is good cartoon show in its own wacky way. Dr. Lighthead's official stance when questioned by reporters is "if they name dropped and also gave a link back, eh let them."